Southwest Florida’s original (and best!) live amateur MMA show! Sponsored by Martial Arts University and headed by certified UFC judge, Jeff Santella. 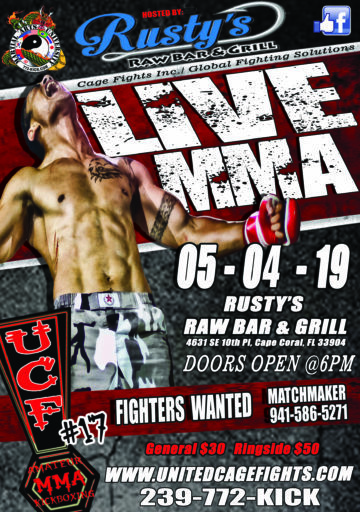 Come to Rusty’s Raw Bar and Grill in Downtown Cape Coral and see why United Cage Fights is the best! Tickets starting at $30. Visit unitedcages.com for more details.